The first 2 in the series were great. 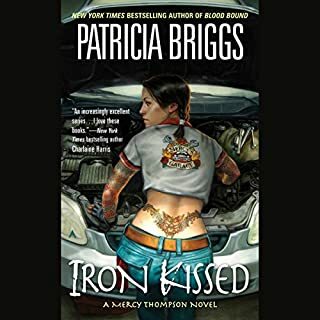 But just as I got comfortable with the PG rated action and flirting, this 3rd book goes way over the line to disturbing. I wont be buying the 4th and wish I hadnt listened to this one. Stumbling on Happiness is a must-hear. The author does a masterful job of explaining and summarizing scientific data on the topic of human happiness. He specifically does NOT promise to give you tools to become more happy; just to better understand why you aren’t. 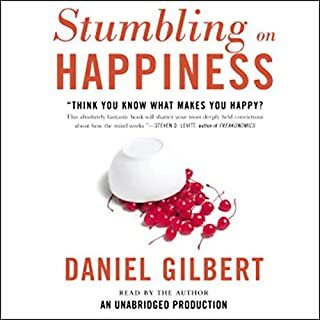 And while the book is certainly no how-to guide, I nonetheless found the information to be quite useful in figuring out how to increase my happiness quotient, and even more useful in figuring out key factors affecting the happiness of people I habitually interact with. The author reads the book, and does a nice job. The style is breezy (but not simplistic) and fairly funny. It held my interest every minute. What if there were a land where people lived longer than anywhere else on earth, the obesity rate was the lowest in the developed world, and women in their forties still looked like they were in their twenties? Wouldn't you want to know their extraordinary secret? The quest to sustain a healthy lifestyle in general, and healthy eating habits in particular, is not always an easy one. I've found it helpful to learn from several sources, taking whatever tips from each source seem relevant and do-able. I recommend this book as one such source. The book is heavy on practical information about how (and why) to eat Japanese "home cooking". The scientific citations seem credible; the overall approach balanced and useful. 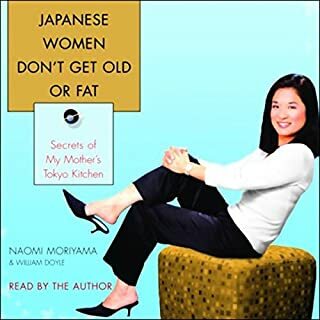 There are no recipes to speak of, and the names of some recommended foods and flavorings are too unusual to my American ear to retain without finding them in a written format to supplement the audio book. Overall, I found it an interesting and useful discussion, and I'm glad I got the book. It isn't an end-all be-all reference on healthy eating, at least not for me. But as one of several resources it's valuable.